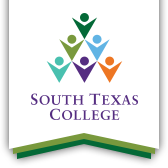 Welcoming new faces and looking to streamline the transfer process for tens of thousands of students, South Texas College and the University of Texas Rio Grande Valley held a collaborative leadership meeting for the first time in three years on Jan. 11. The leadership meeting was organized and led by vice presidents for academic affairs for STC and UTRGV, who brought together the leadership teams of both institutions with a specific goal of focusing the attention on the student transfer process between the two institutions. STC President Dr. Shirley A. Reed and UTRGV President Dr. Guy Bailey offered welcoming remarks at the meeting. STC interim Vice President of Academic Affairs Dr. Anahid Petrosian and UTRGV Executive Vice President for Academic Affairs Dr. Patricia McHatton then gave an overview of each institution’s organizational structures. A priority of the meeting was making administrators aware of any changes in the leadership teams between the two institutions. Attendees then entered into guided group discussions regarding “synergistic opportunities”, examining successful existing systems between the two institutions, and discussing future opportunities to collaborate. Among the most pressing issues, according to administrators, is ensuring that barriers for students transferring between the institutions are addressed to make the process as seamless as possible. UTRGV is the top transfer choice for former STC students. As of fall 2017, more than 75 percent of transfer students seeking to continue their education opted to attend the university, according to the college. Coordinators of the leadership meeting between the two institutions want to make the meeting an annual or biannual event. Routinely conducting the event will ensure that administrators keep up with changes in leadership.